The idea behind this solution is that ingesting raw honey made by bees in your area will expose you to local pollen helping to decrease allergy symptoms. There have been studies that have found no difference in symptoms with the use of honey, but this method has helped me a ton. When I forget to take the honey, I notice the itchy eyes, sneezing, and the runny nose does return. 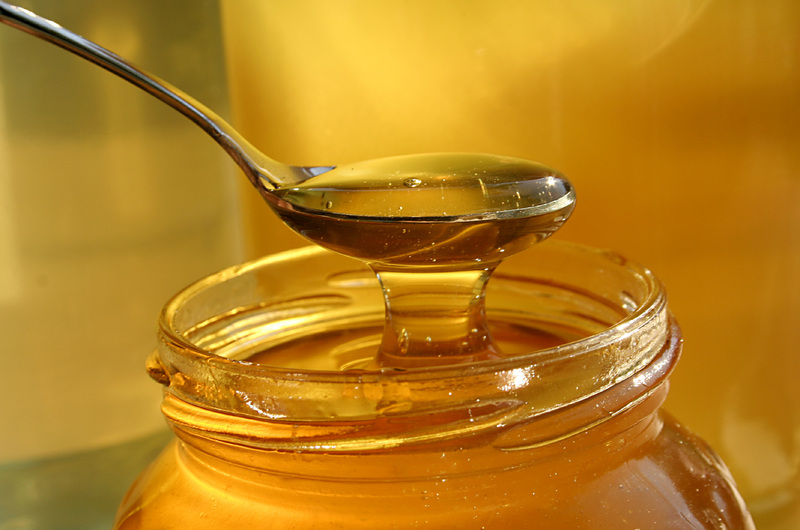 To get my honey fix, I take about 8 ounces of hot water and mix in a tablespoon of honey. That’s it. Now drink it on down. Some people also munch on honeycombs or eat the pollen straight. That’s a little extreme for my taste. Let me include this warning. Since it’s hard to know just how much pollen is in your raw honey caution is necessary. I haven’t had any issues, but I’ve read of others breaking out with rashes and even experiencing itchy throats. Please be smart and safe. Nasal irrigation is the process of flushing the nasal passages with a salt and water solution to remove debris and mucus. This process is excellent for getting rid of pollen and dust that irritate the sinuses. Nasal irrigation is also perfect for relieving sinus pressure and headaches. Most sources say to irrigate your nose every day, but for some, that may be too often. Overuse of this solution may lead to drying of the nose and sinuses. Listen to your body and pick the best routine for you. Once a week may be all you need. A common method for nasal irrigation is the neti pot. As you can see from the photo above, it looks like a mini teapot. To create the irrigation solution mix ~16 ounces of filtered, boiled, or distilled water with ~1/2 to 1 teaspoon of finely ground kosher or sea salt. Make sure your solution is around body temperature. While standing over a sink, tilt your head slightly forward, and to the opposite side of the nostril you’re about to irrigate. Open your mouth wide and breath through it. Bring the pot to your nose and gently pour the solution into the nostril. Gravity will carry the solution through your sinuses and out of the other nostril. Repeat on the other side. Blow your nose to remove any extra water that may be hiding in your sinuses. Using sterile water and pure salt with no additives is crucial. Though rare, there have been cases of brain infections from not keeping the irrigation solution and neti pot clean. Don’t let this scare you away. Just be sanitary and you should be fine. 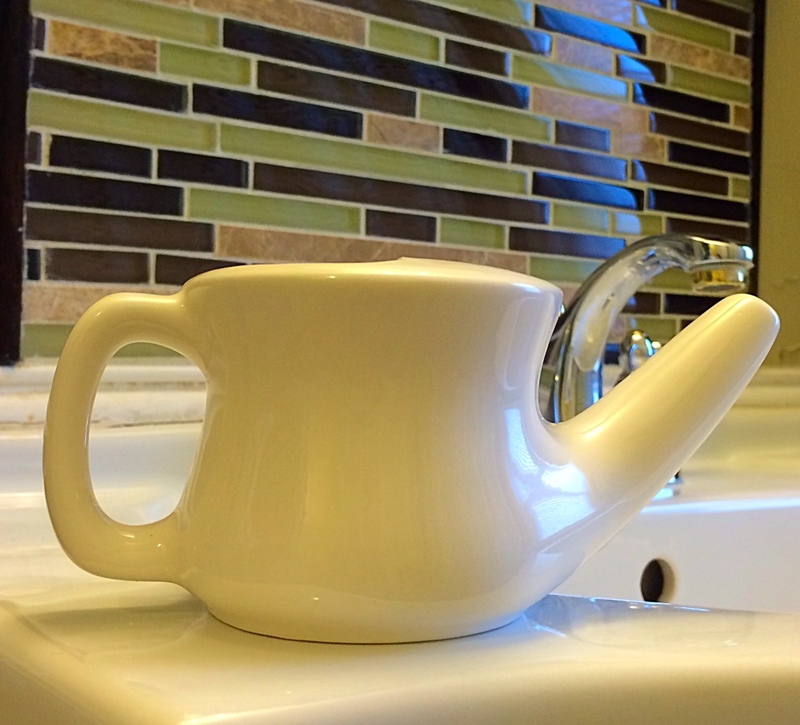 Plenty of people use the neti pot every day with no problems. 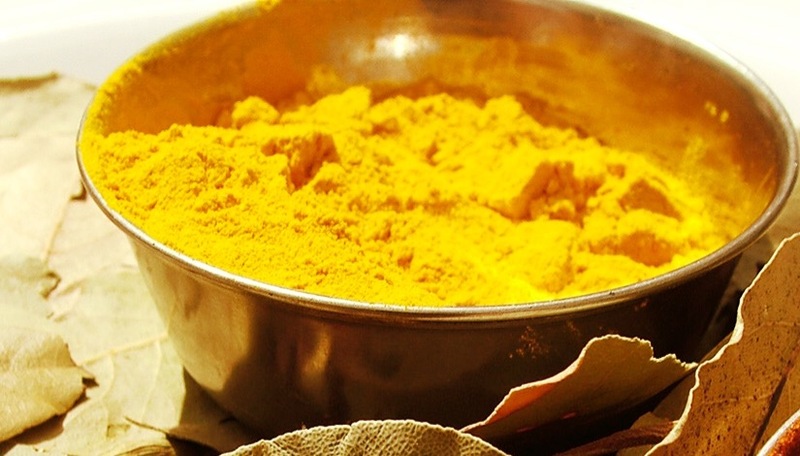 Yes, turmeric has another health benefit. It’s great for helping with annoying allergy symptoms due to it’s anti-inflammatory and immunomodulatory properties. Curcumin is the key player in all these amazing benefits. It helps with allergies by telling the immune system to chill out and not react to common allergens like dust and pollen. There are two easy ways to add this natural solution to your routine. The first is turmeric tea and it’s super easy to make. Take 4 cups of water and mix in 1 teaspoon of turmeric. Let it simmer for a bit then sip on it through the day. The second way is helpful if you’ve added the raw honey to your daily routine. Just add 1 teaspoon of turmeric to the recipe mentioned above for a honey and turmeric tea. Steam inhalation is a perfect allergy aid because it uses moist, warm air to break up mucus. The mucus is then able to drain leaving you congestion free. While it is fine to use plain water for your steam, adding a few drops of essential oil bumps up the benefits. I use oregano oil, but peppermint and eucalyptus are known to help with sinus issues too. Steam inhalation can be as simple as standing in the shower or as complex as special machines. My preferred method is in the middle. 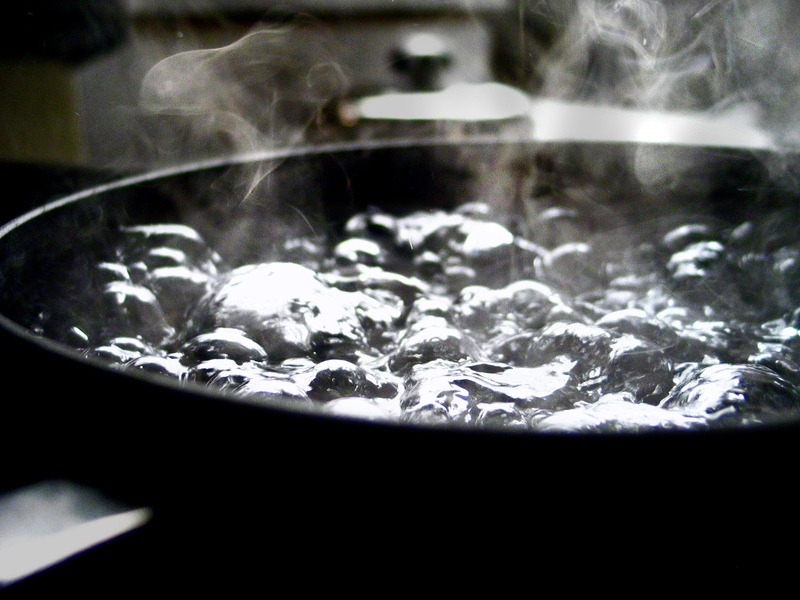 Fill up a tea kettle or medium-sized pot with water then bring it to a boil. Pour the water into a heat-safe bowl or keep it in the pot. Add in a few drops of essential oil and grab a bath towel. Place your face a few inches away from the water. Put the towel over your head and the pot. Now breath in through your nose and out through your mouth. Have a box of tissues handy. I like to let my water cool a bit first. If it’s too hot staying under the towel can be very uncomfortable. 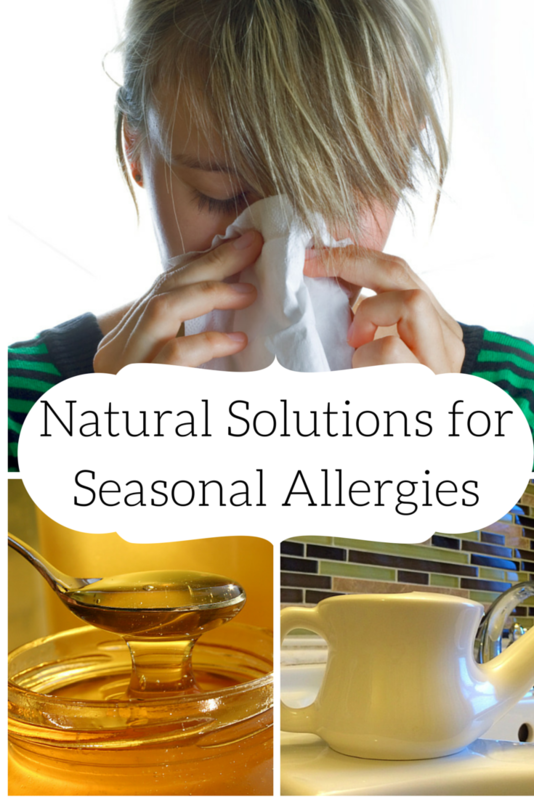 I hope these solutions help you get through this allergy season with minimal suffering. If you’ve learned something new be sure to like this post. If you’ve tried any of these solutions, please comment. I would love to know how these methods have worked for you. Most of all, be sure to share this post with any allergy suffers you know to help them out.